State of the art ophthalmic instruments are an integral part of providing high quality eye care. 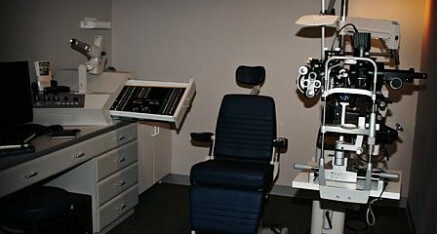 At Drake Eye Center, we cut no corners when it comes to equipment. This piece of equipment is used to measure peripheral vision, particularly on those patients that have glaucoma, as well as those at risk of developing this visually threatening eye disease. 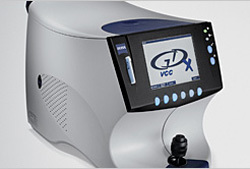 There are lots of visual field machines on the market. However, this particular visual field machine is designed with newer technology to detect glaucoma at its earliest stages. 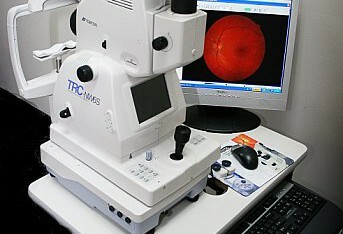 In addition, this instrument is very patient friendly, with the test itself taking just over five minutes per eye. 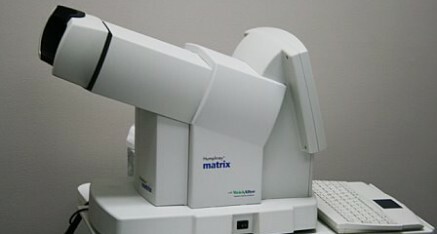 This piece of equipment is used for glaucoma detection, evaluation, and management. It is one of the latest high-tech diagnostic tools in the defense against this disease. By examining the eye’s nerve fiber layer, we can detect early changes in the structure of that layer. The nerve fiber layer starts to become thinner when glaucoma is present and it is this thinning that the GDx nerve fiber analyzer measures. It sometimes is possible to detect nerve fiber loss in the retina more than six years before visual field defects occur. The sooner glaucoma is detected, the better the chance of preserving vision. This piece of equipment is in our optical laboratory. 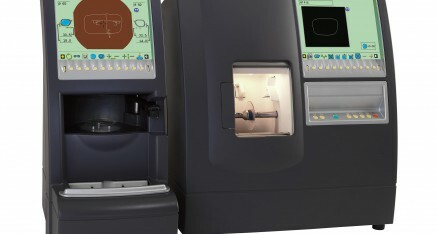 This is a system that allows us to cut and edge lenses right here in-office. This ensures that patients get their new eyeglasses as quickly as possible. While we do not stock every possible lens, we do stock a wide variety of lens types and prescriptions. In many cases, after a patient selects his/her frame, one of our opticians can then trace the frame and cut the lenses right away. This is the same way it is done in the “1 hour or less” optical shops. In situations where we do not have the lenses in stock, we are still able to order the lens (which usually arrives in a day or two) and have it cut the next day. The patient still is able to get their new eyeglasses in the shortest possible time. The only time we don’t use our edger and tracer system is when specific vision insurances require us to use their labs. In those cases, we are required to order the lenses from them, which slows down the turnaround quite a bit.